After last weekend’s untimely incident involving the death of my old Drift X170 action camera (thanks Andy), I decided to shell out and buy a new and better one! The one I bought this time is a Drift HD170 Stealth action camera. I just wanted to do a quick review of this camera because these types of action cameras are awesome for filming your drifting and if you’re in the market to buy and action camera to record your drifting activity, then this review might give you some pointers if you ever decide to buy one. No doubt you’ve probably already heard of GoPro cameras and perhaps Contour. 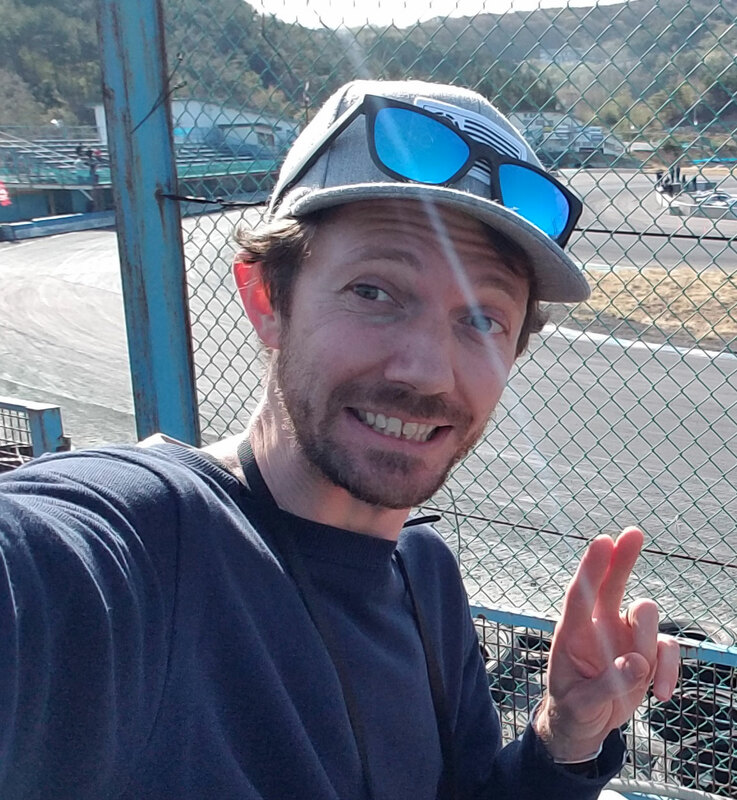 Just about all action cameras you can buy now are quite good, but I like Drift Innovation’s cameras because of all the features they come with and they’re dead-easy to use. 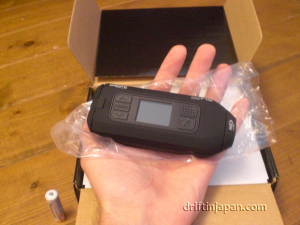 Some people think the Drift Innovation cameras like the HD170 Stealth are a little bulky, but that doesn’t matter to me as I’m going to use it mainly to stick on cars and film drifting. If I was strapping it to my head it may be a different story. If I wanted to use it on my head when I go snowboarding, I might want to get the new Drift HD camera from the same maker which is 25% smaller. Anyway, let’s get on with the review of the Drift HD170 Stealth! With the 60 frames per second option I can slow the video right down when I play it back and make my videos. This is a must if you want slow motion in your videos. I love this feature because I can watch replays of my videos on the spot right after I film them. It’s also useful for lining up the shot when I mount it on the car. You don’t need to ‘guess’ where the camera is pointing with this screen. There is a built-in speaker too so your mini videos come with sound. This is another awesome feature that GoPro cameras are yet to grasp. Contour now does it with their latest cameras but this has been a standard for Drift Innovation cameras. You can rotate the nose of the camera where the lens is a massive 300 degrees. So if your shot is perfectly horizontal when you mount the camera, just a quick turn of the lens to adjust it and you’re ready to rock. 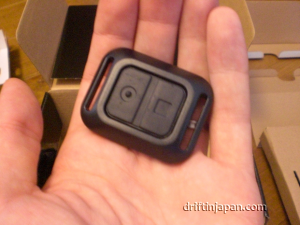 Most decent action cameras come with a 170 degrees wide-angle lens as does the Drift Stealth. However in 1080p mode, you only get 127 degrees, but I can live with that. Most of the time I think I’ll be using it in 720p mode to get more out of the SD memory card. Youtube and Facebook video won’t play 1080p anyway (although I hear rumors that Youtube may start supporting 1080p soon). The Drift Stealth comes with a nifty wireless remote control to turn recording on and off. It uses a radio frequency and is good for up to 5 meters. This is awesome if I’m strapped in in my car, I don’t have to get in and out just to turn the damn thing on and off. My old X170 had a remote too but I never really tested to see if it works through metal or glass or not.. but I know it works when there is nothing in between you and the camera. The battery is a re-chargeable 3.7V 1110mAh Lithium-Ion battery which lasts about 2.5 hours in hot weather. A little shorter in cold weather. There is an option to buy a more powerful battery if you need it. Recharging is done via USB cable or an optional AC power adapter. You get 32MB of memory built in which won’t store much of anything but it can take up to a 32GB SD card. Not sure how many hours of footage would take up 32GB but it would be a fair bit. I think from memory, at Full HD (1080p) you get about 30 minutes for every 1GB. 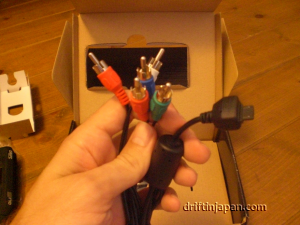 HDTV output – Yeah, just HDTV not HDMI output like some cameras have now but that’s fine. HD will still be good enough quality for a laugh watching back on my telly at home. Comes with a 1 year manufacturer warranty but I’m guessing it only covers technical failure, not damage and breakages that happen when sandwiched between two drift cars or a drop on to the bitumen at 100kp/h plus. But it’s always good to know if for some reason it stops working you can get it replaced. However, I had no problems with my other X170 Drift camera which I had for just over a year. On the bottom of the camera, there’s a threaded screw mount which is necessary if you want to use a suction mount or tripod. It doesn’t come with a suction mount, but it does come with a whole bunch of mounts right out of the box, such as helmet clip, handle-bar mount, goggle strap mount and a thick elastic strap which you might use to bind your passengers up with when you blast around the track?! I really can’t see any downsides to this camera besides the brick-like design and slightly bulky size, which for me is not a big issue. It’s got everything I need to have fun recording me and my mates sliding at the drift track without any headaches. 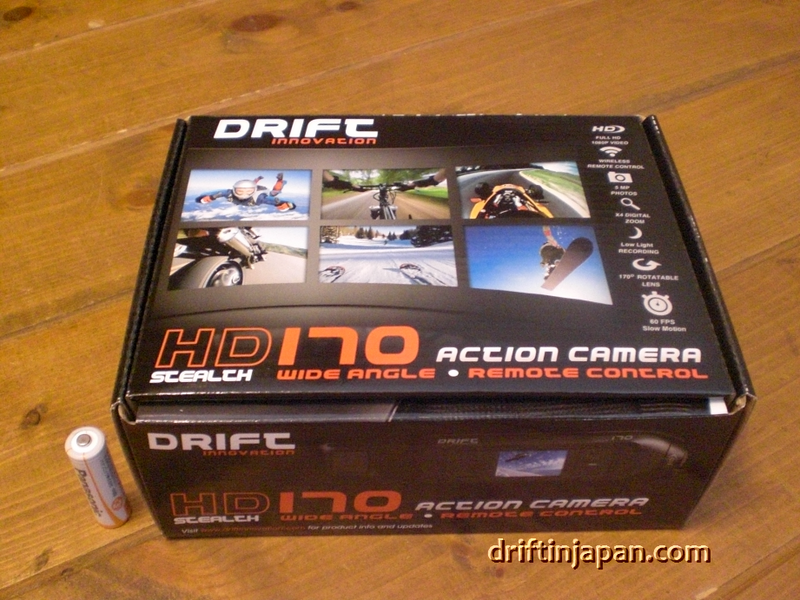 For a camera with HD video, remote, color screen, rotating wide lens, rechargeable battery, suction mount ready you can’t go past the Drift HD170 stealth.. and I forgot to mention it does 5megapixel still photos and ‘photoburst’ sequence shots too if you ever are in the mood for it. If you’re an Aussie, check out this Australian online retailer. Free shipping is included from both online stores. 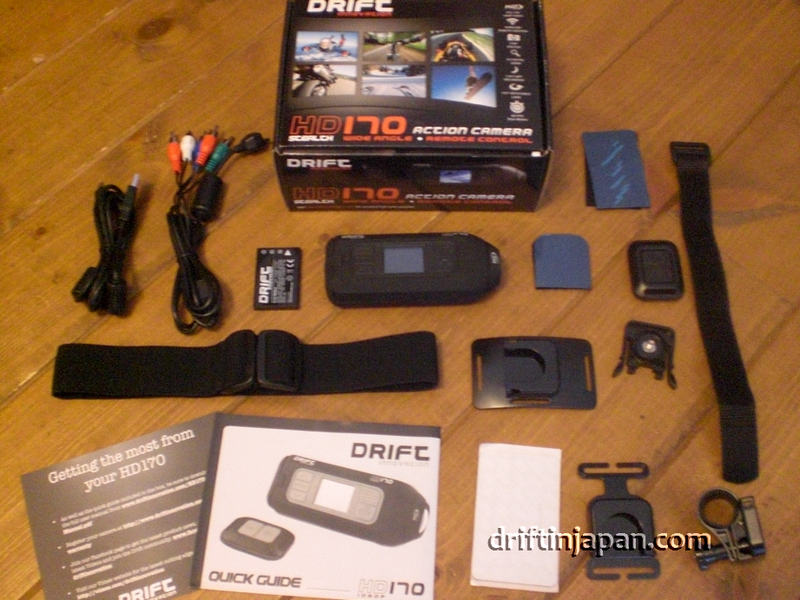 Thanks for checking out my review of the Drift HD170 Stealth action camera from Drift Innovation. If I ever need to buy another action camera in the future, I’ll probably review that one too. These things are just too cool. Can’t wait to get out and start making videos. p.s. I plan to be shooting a lot more onboard drift video with this new camera. My old X170 was ok but it wasn’t HD so the quality was a very average. This new HD model one is going to be much better so watch out for videos coming soon!